Combine the correct techniques with products to nourish your skin, and you are on your way to healthier skin. We will provide the products to use during the class. Techniques for a morning and evening routine that only takes a few minutes. What to look for in skincare products. Fizzy Bath Bombs! Learn to make your own at home! 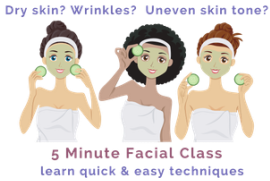 You will learn which ingredients are safe and nourishing for skin. 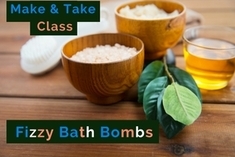 As well as creating your own bath bombs to take home! ​Quality ingredients for less than the fancy ones you aren't sure what they put in them! Start with a FREE Hand Spa. Then you will learn points for headache relief, as well as how to work them effectively. Everyone that attends will receive a tool to use and be shown how to use it. Then you can take it home! 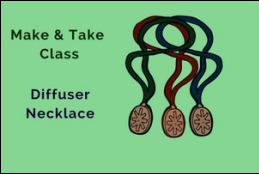 You take home TWO necklaces with this class! You will learn about 4 essential oils to use this time of year. As well as creating your own necklace to take home! Be sure to add cassie@cassiechristensen.com and 4essentialbalance@gmail.com to your address book to make sure you receive our emails. You are able to unsubscribe at anytime. *If you missed our event - maybe our emails were sent to spam & you just found/ followed the link. We want to make sure you know of our upcoming additions, We are introducing classes and workshops! Please email us and let us know, we appreciate your business!